While recently in Vancouver I did what I try to do every time that I make it to that city – visit the Vancouver Art Gallery and very specifically to visit their collection of Emily Carr paintings. The Vancouver Art Gallery occupies a wonderful old building in downtown Vancouver with the top floor gallery devoted to Emily Carr. There are however 3 other floors, exhibiting other shows and what ever I can see there is just a bonus for me. 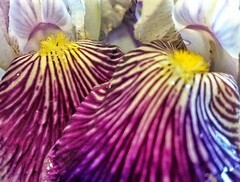 See my previous post about what I saw on the Emily Carr floor on this visit. 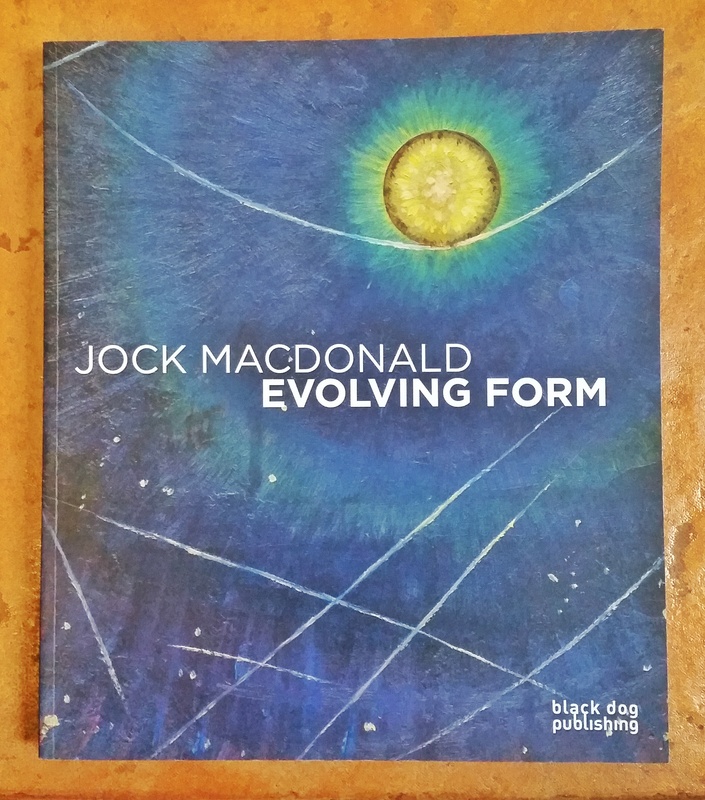 Perhaps the highlight for me on this visit was the exhibition “Jock Macdonald: Evolving Forms“. I must admit that before I got there, I’d heard there was an exhibit of work by the Canadian painter J. MacDonald and I just assumed it was J.E.H MacDonald, one of my favorite painters from the Group of Seven. But wrong I was. It was a different Macdonald and while I guess I’d heard the of Jock Macdonald but never really seen his work – I got a good education! Jock (more formally James William Galloway) Macdonald was a leading Canadian modernist painter of the 20th Century. He was born (1897) and raised in Scotland before coming to Canada in the 1920’s. He first settled in Vancouver but would live in a number of places in Canada before passing away in 1960 in Toronto after over a decade there. His early training was as a designer and some of his early work bears the influence of commercial design. In Canada he worked with Fred Varley of the Group of Seven and produced some fine landscape canvases that fit right in with the work of the Group. But most significantly (and enlightening for me) was his development as a leading modernist abstract painter. In fact he was an important member of the Canadian Painters Eleven group. Accompanying the exhibit is a fine catalog (printed by black dog publishing), that I just had to bring home with me as a reminder and reference, after seeing the exhibition. Jock Macdonald: Evolving Forms runs at the Vancouver Art Gallery until 2015 January 4th. Securing an Exhibit – Questions to Ask. I was recently involved in discussions with an art organization about technology options for securing an art exhibition. Unfortunately, theft of art, especially from exhibits in public spaces, does occur. There are an increasing number of options for monitoring and alarming an exhibit and the financial commitment can be significant. Without going into technical specific of different options, I recommend stepping back and asking yourself a few general questions. Will it be a deterrent to theft? Will potential thieves be aware that there is a security system and be scared away from attempting anything? Will it help stop a thief in the act? Would the system trigger some sort of visible or audible alarm that might make a thief run away without completing their dirty work? Will it help recover a stolen work? Does the system have a way of tracking the stolen piece or provide a means of identifying the thief (e.g. a video recording)? 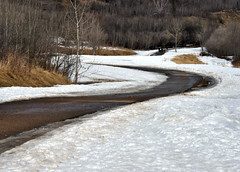 Will it help the reimburse the artist for a stolen work? Maybe what’s needed is theft insurance? There will probably be lots of other considerations but these questions should help an organization check if their expectations and deliverables from a security solution are a match. If the technology does nothing more than tell you a piece of art has been stolen, is that really worth paying for? post script: As a commenter (@lauxmyth) on my twitter feed mentioned “We do have to remind folks at times to balance alarms/camera with the locks/doors and INSURANCE”. The best security will be multi-faceted but you have to think about what is necessary/desirable and what you can afford. It might be said that a curator (of an art exhibition) is doing their job when they aren’t even noticed or thought about by the visitor to an exhibit. Most of the time, I never give any thought to who the curator was or how well they did their job. The exhibit either works and I enjoy it (the art work presented) or it doesn’t really make an impression on me so I just move on. 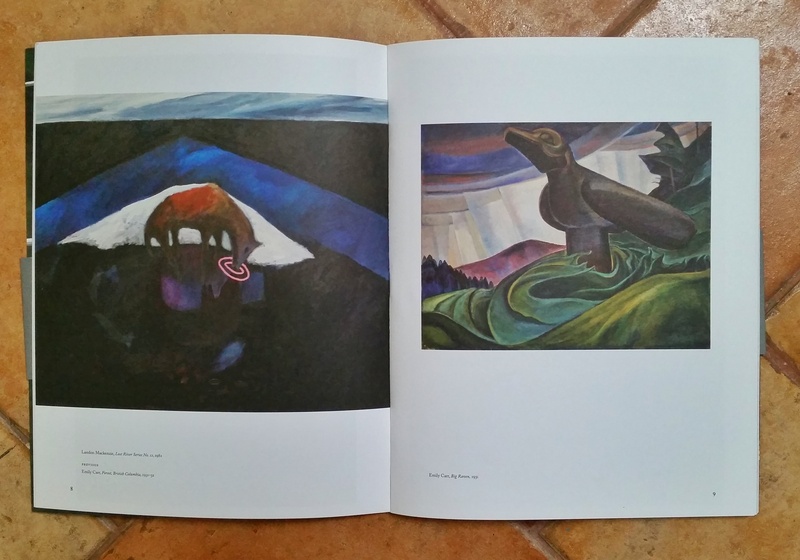 Engaging in a dialogue with the work of eminent British Columbia artist Emily Carr, Vancouver-based painter Landon Mackenzie presents three thematically arranged galleries with more than 50 artworks that collectively span over 100 years of landscape paintings by these two artists. Why I was skeptical about this exhibition working is because I hold Emily Carr in such high esteem. I couldn’t imagine presenting her work with anyone but, say Tom Thomson or the Group of Seven members. Landon Mackenzie is a contemporary artist, born in 1954, whose work while including some landscape elements also extends to large abstract paintings that at first glance would seem to have no way of being connected to Carr’s work. Somehow though, the juxtaposition of the work of these two artists works and delivers and pleasing and meaningful experience. This exhibit runs at the Vancouver Art Gallery from 2014 September 20 to 2015 April 6. Incidentally this exhibit is the fourth in a series of exhibitions pairing Carr’s work with that of contemporary artists from the region. It was the first one that I’ve seen (or was even aware of) but my interest is piqued. Oh, yes, the curator? Grant Arnold, Audain Curator of British Columbia Art – BRAVO!